My thoughts on writing and editing. 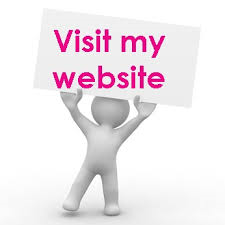 Be sure to visit my website (link provided). It’s Sunday morning and I’m taking a few minutes out of my busy schedule to share the joy I experienced recently of getting away from it all to spend a wonderful long weekend with lifelong writer friends off in the fantastic isolation of Eyeries in West Cork. Being a busy editor, I don’t get much time to write my own material, or as much time as I’d like. This weekend, however, saw a total focus on that one endeavour, made all the better being in the company of some exceptional people, all warriors of the word, and the world, and all with minds and hearts open to experience and learning, willing to step into spaces and onto levels many would run from. We rented a gorgeous house on a hill, overlooking a bay that provided an exceptional variety of seascape atmospheres and awe-inspiring sunsets that took the breath away and provided constant inspiration for several souls hungry to gather it in and fill pages with the magic of it all. We walked the black-sand beach and mooed at sentinel cows, watched diving cormorants do their hunting thing in the crashing surf, and sat spellbound in a mystical environment of the senses, the only distraction our ever-increasing awe at being a guest of the universe. And at night, we’d step outside into the pitch-black and crane our necks in silent disbelief at the overwhelming clarity of the Milky Way. What a sight for a city boy who grew up in constant light, with the rare view of a handful of stars on a good night. I was stunned, and that’s putting it mildly. I tried so hard to get shots with my camera, but nothing but the best could have captured the glory of this experience. I swear, my heart was in my mouth with the joy of it – I’ve never felt so open and held in my life – for that time I was in the zone, a solid member of the cosmos, connected to everything the universe had to offer. What a weekend. We chatted, ate way too much, even had a tipple or two, but most of all we took time to exhale and appreciate the time we had – to soak it all up, to put pen to paper, and then to share what we’d captured, and I didn’t have to edit a single word from anyone’s work but my own. You can’t get better than that. Well, maybe another weekend in the not too distant future. Now, time to get back to the grindstone. If you have a work-in-progress and plan to submit it for a professional edit, visit my website to get a better idea of my services and what I’m about, then send a sample chapter to clearviewediting@gmail.com for a free sample edit. You won’t regret it. I am envious ofyour writing retreat as I love the area around Goleen perhaps someday I too will get to sneak away.